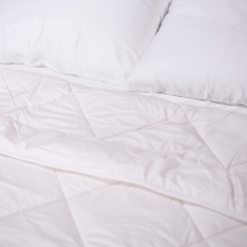 When you’re going for mattress protection and added comfort, look no further than our Washable Wool Mattress Pad. 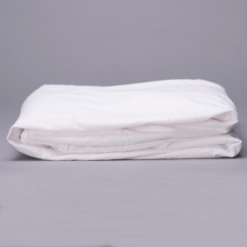 Hypoallergenic, moisture-wicking, and antimicrobial with stay-taut construction, you can turn easily all night long with no fear of bunching. 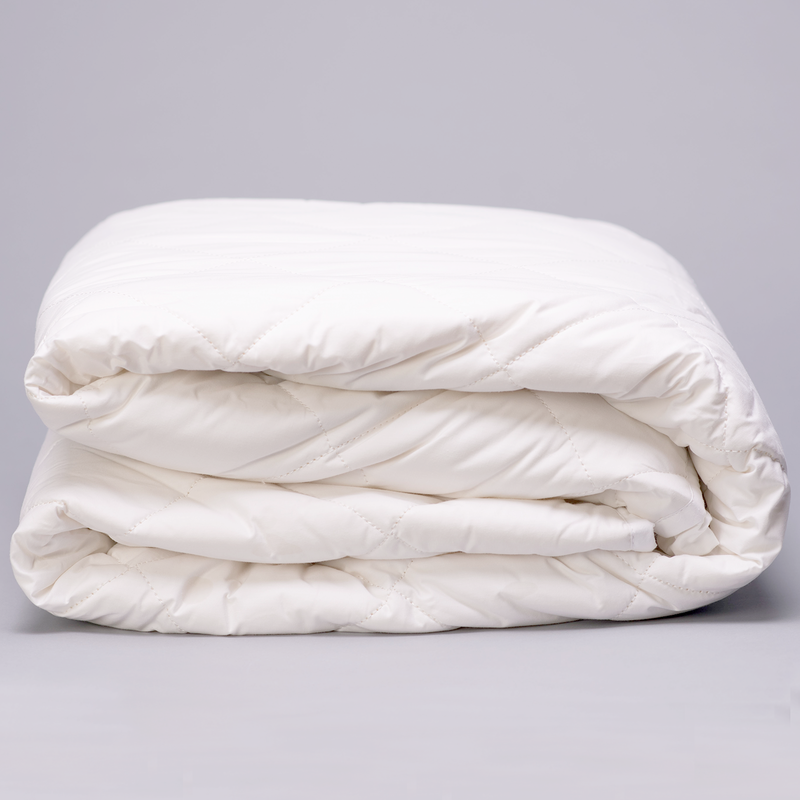 100% Belgian Lambs wool makes this mattress pad machine washable. 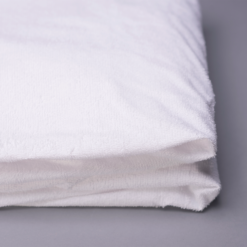 Wool’s ability to absorb moisture makes it a perfect bedding material that provides a dry sleeping environment while keeping you warm or cool as the seasons change. 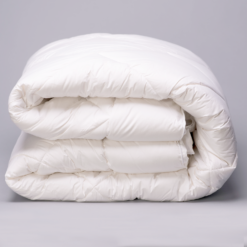 Other superlative features of wool include: it’s hypoallergenic, moisture-wicking, and antimicrobial. This pad is encased top and bottom in a 100% cotton cover. 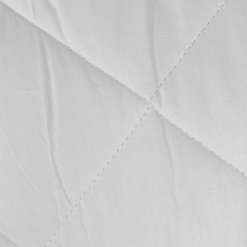 Our Wool Mattress Pad has deep corner pockets for easy dressing, coupled with full perimeter elastic for the stay-taut, smooth surface you need. 100% cotton skirt finished with an elastic draw for a long-lasting fit. Arrives oversized. Designed as ‘shrink to fit’ in one or two washing cycles. Question 1: What is the depth of the pockets? Question 2: Will it fit a split king mattress? Question 3: What is your return policy? 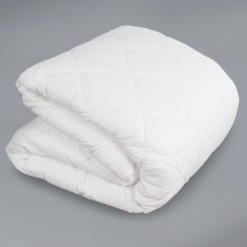 Answer 1: The Washable Wool Mattress Pad is good for a mattress up to ~15” thick. 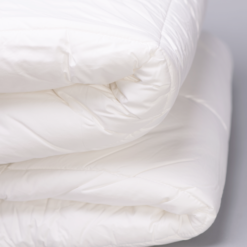 Answer 2: 2 TwinXL Pads are what people use on a split king mattress. Unless it is a split-head king, in which case you would need something different. 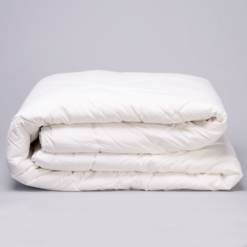 Answer 3: Used bedding is not returnable. 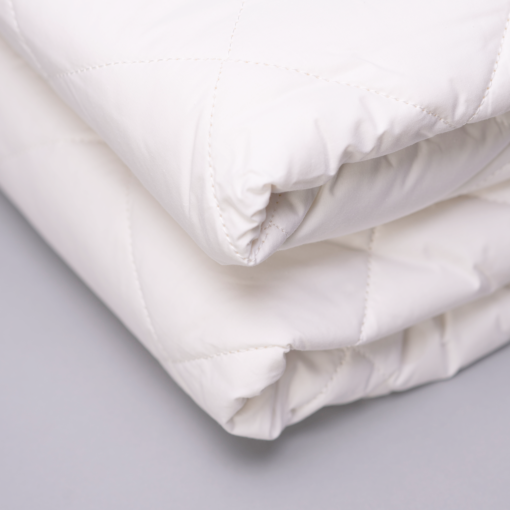 Is this pad treated with any chemicals — flame retardants or otherwise.? Often cotton is. Our wool has been bathed in hydrogen peroxide to make it washable. The cotton cover has been bleached in this case.